Each year since 1987 Takamine has offered a special model that would only be built one time and never again with the same configuration. Thus began the LTD program. 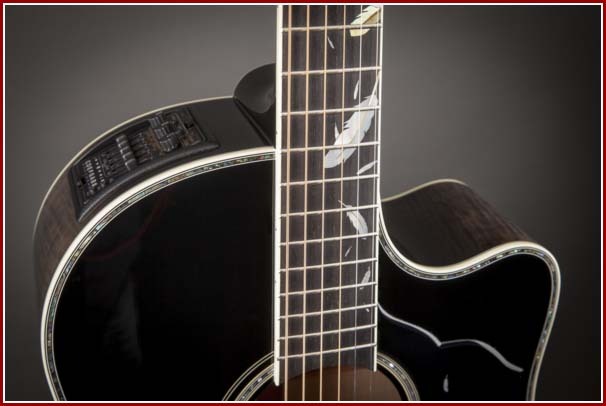 For the 2014 LTD model Takamine introduces a new body shape - the Slope Shoulder Dreadnaught. 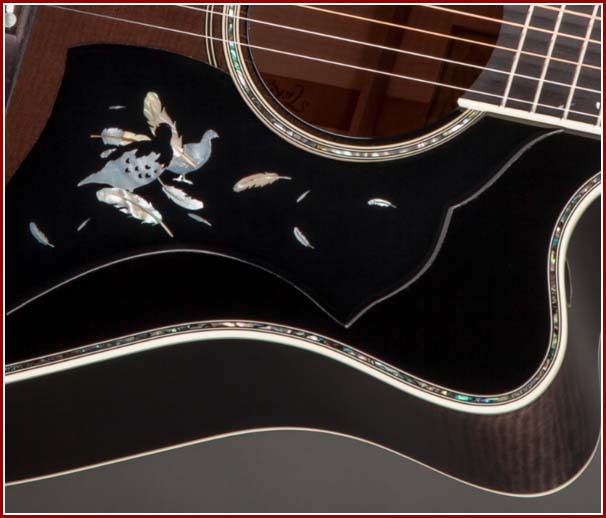 As the name suggests the "Grouse" pays honor to the Snow Grouse ("raicho" in Japanese) which inspired the beautiful inlays and pickguard. The neck of the 2014 LTD joins the body at the 12th fret, and features a scale length of 24-3/4 inches. The solid Sitka spruce top is finished in a beautiful vintage dark sunburst and the flame maple back and sides are stained in a transparent black. The ebony fingerboard is 12" radius and has a 1-3/4 inch nut width and mahogay neck. The entire body and headstock are trimmed in abalone and new Cosmo black chrome tuners adorn the headstock with abalone inlaid logo. Electronics are handled by the CT4-DX 2-channel pre-amp and Palatheic pickup system. 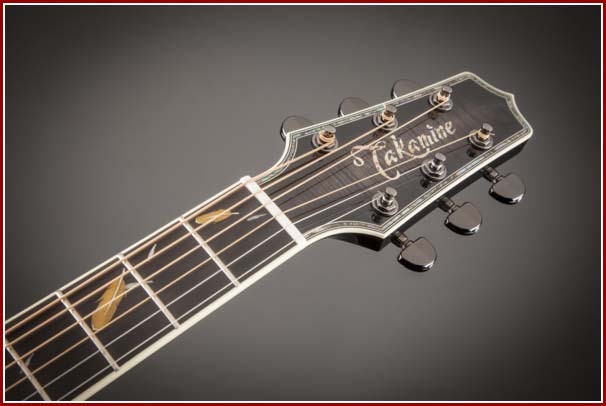 Each of the 52 guitars is hand signed by the President of Takamine Guitars. List price is $5299. 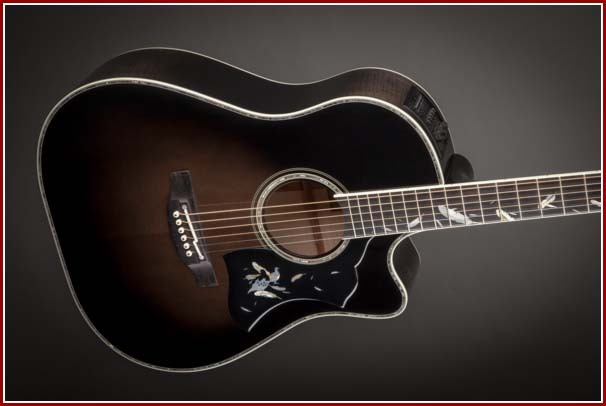 The Takamine 2014 LTD "Grouse" is available at select dealers. Production will be limited to 52 pieces. Check www.takamine.com for more details. This website and forum are not associated with or endorsed by Takamine Guitar Co., Kaman Music Corporation or F.M.I.C in any way. The content and opinions do not in any way reflect those of Takamine Guitar Co., Kaman Music Corporation or F.M.I.C.